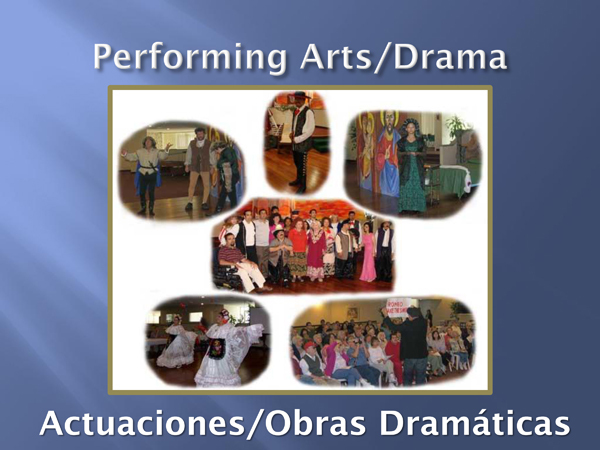 CIS offers a year-round Drama and Dance Club performances, seasonal Chorus and Spring/Fall Fashion Shows. 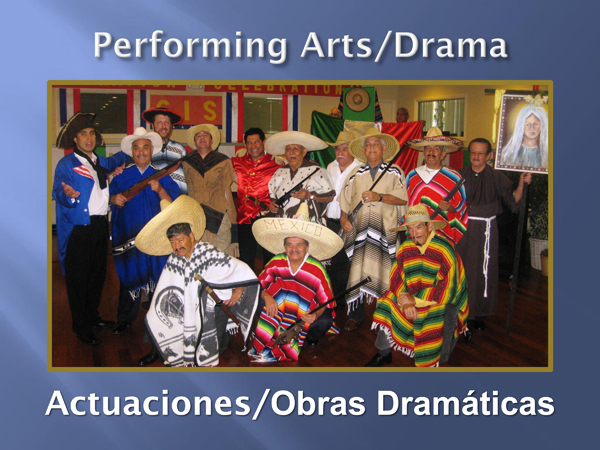 Drama Program includes a minimum of 4 performances a year including skits for Cinco de Mayo, Central American/Mexican Independence Day, Thanksgiving, and the winter holidays. The Drama Director assist participants to plan and organize plays including backdrops/sets for scenes, costume designs, props, character development and timing. The CIS Dance Club puts on up to 4 performances a year. An example is the Dance Tribute to American and Latin Music held annually around Labor Day. The CIS Seamstress Club hand-sews costumes for all programs and performances. Ross Dress-for-Less has been approached to sponsor the bi-annual fashion shows. CIS Participants model the clothing. Community members/volunteers are welcome and encouraged to participate in all performances. CIS promotes multi-cultural, integrated, ability-diverse performances that allow all people to work in harmony together regardless of race, age or disability. CIS has a dance floor, stage, a piano and is currently fundraising for lighting and sound systems to enhance the Performing Arts Program. 2005 Community Integration Services, Inc. All Rights Reserved.